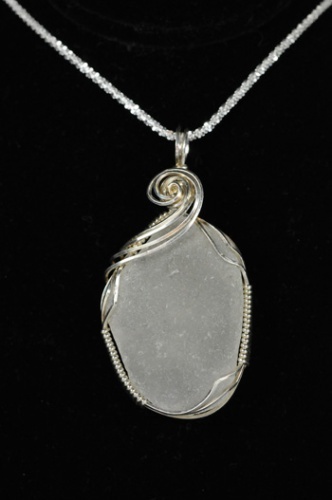 This wite piece of seaglass is embellished with a pretty sterling silver curl topping the piece. Not too fancy and, not too plain. Perfect to go with any outfit. Comes with a sterling silver chain.